EPCA Was Specially Empowered to Deal With Air Pollution Crises. Is It Working? 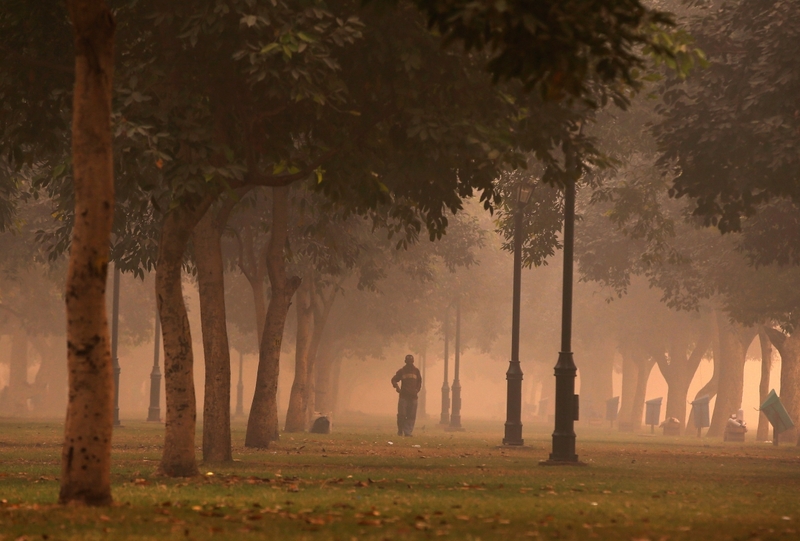 Despite being vested with enormous powers, the Environment Pollution (Prevention and Control) Authority has been reluctant to proactively rein in the 'airpocalypse' in the National Capital Region. This is the first of a two-part analysis of the EPCA’s performance. The second part will be published tomorrow. The National Capital Region is in a state of environmental emergency. For a purely winter phenomenon, air quality is way worse than is acceptable throughout the year. Improvements usually happen by going from the ‘very severe’ category to the ‘very poor’. The irony is that such environmental deterioration has essentially happened in the last two decades – despite a heightened level of judicial action to control air pollution while having a dedicated authority for it. While the people and the media have concentrated on the nature of action initiated by courts and the pollution control boards, few the manner in which an authority constituted with the objective of ‘protecting and improving the quality of environment’ in the National Capital Region has functioned. The EPCA was constituted under the provisions of the Environment (Protection) Act, 1986. Though it has existed for 20 years, its term is extended by specific notifications issued by the Government of India. The latest notification is dated October 3, 2018, when it was reconstituted by including new members. The reason why EPCA is an authority, and not just an advisory committee, is because it has powers similar to those enjoyed by the Centre. Specifically, it can issue directions in writing to any person, officer or authority, including for – but not limited to – stoppage of electricity, water and other services. If its directions are not followed, it has powers to file criminal complaints (under section 19 of the Act) before courts. The EPCA chairperson has often written letters to the chief secretaries of various states in the NCR region requesting compliance. However, there is nothing publicly available about action initiated by the EPCA in case of noncompliance. In fact, in a recent RTI response, the EPCA specifically stated that “it never needed to invoke the powers under Section 19 of the Environment (Protection) Act, 1986′. It is puzzling that despite being vested with enormous powers, the EPCA has been reluctant to issue any directions vis-à-vis environmental quality, restriction of activities, control over emissions and other subjects the authority has mandate over. The last two decades have witnessed a drastic decline in environmental quality in the NCR region, paralleling the EPCA’s reluctance to be proactive. This raises disturbing questions about its attitude in dealing with such a crucial issue. The EPCA has been empowered to take suo motu action as well as on the basis of complaints made by any individual, representative body or organisation functioning in the environmental issues sector. One of the EPCA’s important powers is the redressal of grievances through complaints. So it is surprising that while applications on pollution are filed before the Supreme Court, the National Green Tribunal and high courts, one rarely hears about complaints being filed before the EPCA. EPCA’s main work has been to assist the Supreme Court in preparing Reports and also in monitoring the implementation of the Courts Orders. This is not the only role of the EPCA. Its principal charge is to serve as an effective grievance redressal forum. And if an effective complaints-processing system had been worked out, it could have led to greater citizen involvement in dealing with pollution. The EPCA is headed by Bhure Lal, a former secretary to the Government of India. A retired IAS officer, Lal was appointed as the chairperson in 1998. His is perhaps the longest ever appointment in any statutory committee and/or authority in the Government of India. The issue is no less serious with the authority’s other members. Civil society groups have until recently represented through two members: Narain, director general of the Centre for Science and Environment (CSE), and Vishnu Mathur, director general of the Society for Indian Automobile Manufacturers (SIAM). As a result, there are serious issues with respect to the EPCA’s independence and objectivity. SIAM’s main role is to promote the growth of the automobile industry and its members have stated in public that they are opposed to any restriction on the use of diesel cars. Clearly, the presence of official representatives in the authority represents a serious conflict of interest as well as a lack of representation. The official members include all the Municipal Corporations of Delhi, the Delhi Police and the Delhi jal (water) board. There is no representative from any other state other than Delhi. As such, the EPCA can hardly be called an authority representing the NCR region; it is at best an authority for Delhi, given its Delhi-centric approach. This lack of representation is not limited to the government: even with the reconstituted EPCA, all civil society groups and other major institutions are based in New Delhi. Further, given that the EPCA has been empowered to initiate prosecution, the presence of officials from so many departments and municipal corporations is a cause for concern. This is because most violations of environmental law in India happen thanks to the connivance of enforcement agencies, including municipal bodies. In a way, this explains why the EPCA has not initiated even a single criminal complaint before a magistrate till date, despite there being numerous violators to pull up. It is therefore a part of the reason why not a single case has been registered under the Air (Prevention and Control of Pollution) Act, 1981, in Delhi – a city that has ranked among the world’s most polluted cities – in three years. At the same time, one can’t underplay the EPCA’s efforts to improve the environment. For example, the authority is to thank for the Supreme Court’s recent decisions about pet coke and BS VI compliance for vehicles. However, assisting the Supreme Court is not the authority’s primary function. The success of an authority should not be judged by the quality or quantity of reports it prepares but by improvements in the quality of the environment. The fact that many cities in the National Capital Region are horribly polluted is a testimony to the EPCA’s failure. There is thus a need for a thorough discussion and review on the need and utility of such an authority. 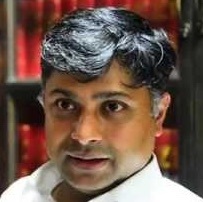 Ritwick Dutta is an environmental lawyer.